Cawdor Primary is a small school, close to Camden NSW, situated at the foot of Razorback. 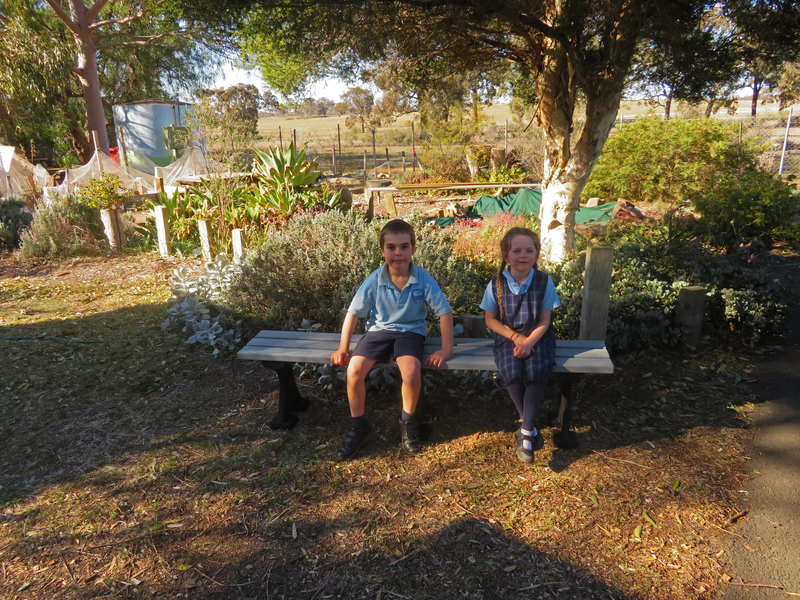 They were fortunate to be awarded a Landcare grant to restore habitat and create a native/bush tucker garden behind two classrooms. The students, (particularly the Enviro-power team) have been actively involved in creating this sustainable space. “Our teaching programs aim to develop ecological, sustainable learning which is important for our students now and into the future. By exploring and understanding their environments the students are reflecting values of care, respect and responsibility,” explains Diana Le Good. The new garden area includes an outdoor learning space and Replas seating for quiet activities and bird monitoring. “We chose to use Replas furniture because it was sustainable, durable and strong. 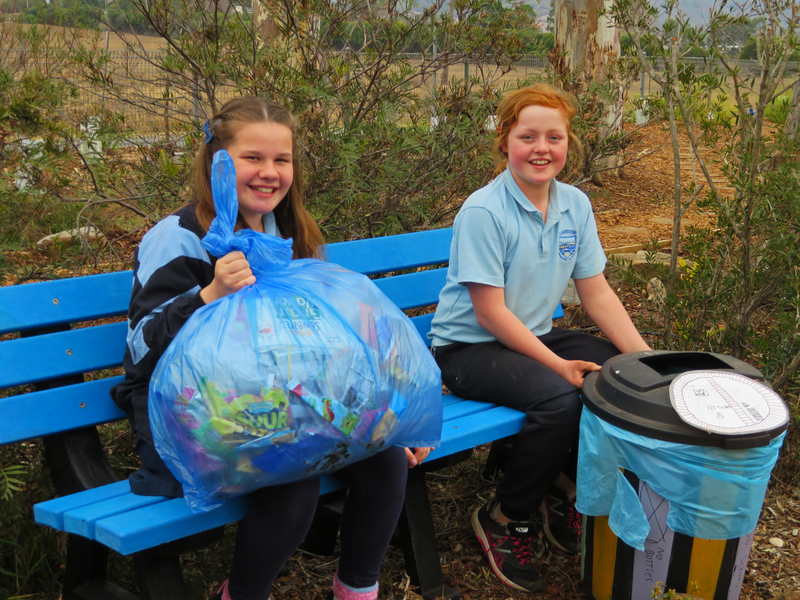 This choice has led to another project within the school of students collecting all the soft plastics from the children’s plastic lunch waste, along with other soft plastic waste at school, which is taken to our local supermarket to be recycled through the Redcycle bins. Thereby Closing the Loop,” concluded Diana. By educating the students on the benefits and importance of recycling using a hands-on approach, Cawdor Primary School is leading the way towards a better future.